She hails from Khalavha village in Limpopo Province, South Africa (SA) where poverty severely limits access to educational institutions, especially those of higher learning. She triumphed over South African traditions where academic qualifications are not considered an important asset for women and struggled to be the first in her family to obtain a university degree. She obtained a BSc degree from the University of Venda, SA in 2004; and Hons, Master and PhD degrees in Mathematics from the University of Stellenbosch in 2005-2012. In 2010, she received the Rector’s Award for Succeeding Against the Odds at Stellenbosch University. She went on in 2012/2013 to pursue Postdoctoral research for full academic year at the Department of Mathematical Sciences at the University of Alberta, Canada. 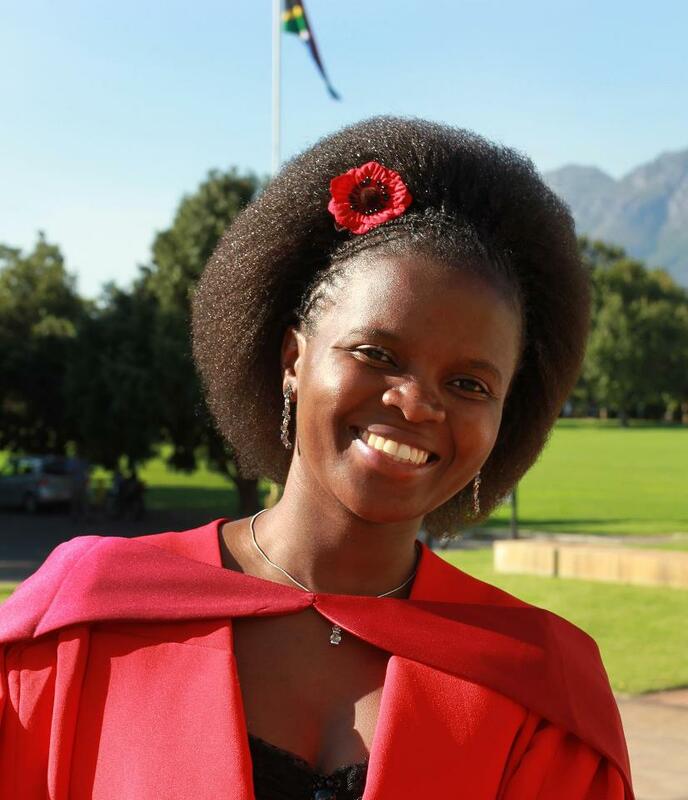 She is currently a post-doctoral researcher at African Institute for Mathematical Sciences (AIMS-South Africa). Her research is on Subdivision; a branch of Computational Mathematics with important application areas in animation movie production, medical imaging, aircraft and automobile design. She is also interested in Mathematics Education research and projects that will contribute to the positive growth of disadvantaged communities. She promote mathematics in South Africa through participation in Science Slams, in which she could explain to school children the significance of mathematics in the real world as well as motivating tertiary, high school and primary school students during national science festivals. Rejoyce started MathAfrica in 2013 after reflecting on her childhood experiences growing up in a poverty stricken rural community in Limpopo, and on the journey she had undertaken to become an active postdoctoral researcher in Mathematics in South Africa. Her journey is a rare achievement that was driven by hard work, a dedicated and determined personality, and an imagination that is inspired by mathematical problems. In remembering her humble origins and the many challenges she faced, she posed the question as to what could be done to help other young scholars faced with similar challenges. After relating her experiences with other postdoctoral fellows, professionals and high school students in Canada, she decided to found MathAfrica, with the view to address the shortfall in mathematics education in rural schools as well as the need to reach out and provide opportunities to rural scholars. She currently serves as an executive member of South African Women in Science and Engineering (SAWISE). She also was an executive member of University of Alberta Women in Science, Engineering & Research (WISER), as well as a founding member and avid participant of the Canadian organization MentorUP – which is a mentoring community comprised of mentors, university students, industry employers, and more.